Highlight the text that you’d like to link to an uploaded document. Click on Upload at the top left. Find and select the file on your computer. Once it’s uploaded, it will be listed at the very top of the window. Double-click on it to select it. 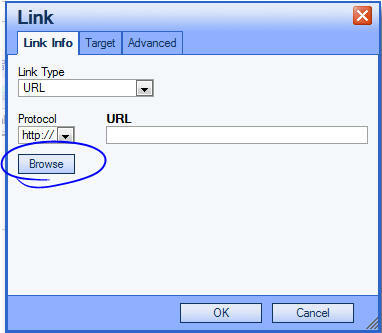 The text in your editor will now be a hot link pointing to your uploaded document. You can test it in the student or preview views.